I bought the black version. I just love it. It's dressy and very comfortable. I followed the advice from one preview and ordered size 91/2w,(instead of 9w, my regular size). the fit is perfect. I'm very happy with the purchase! I gave them five stars because they are really nice. But I had to send them back because it said wide width but they are not wide at all. I got Black despite the fact that the video did not show it in detail. I was DELIGHTED to find that the Hardware is indeed GOLD!! It really Elevates the LOOK of the Boot! It also works nicely with much of my Handbag & Jewelry wardrobe. The surrounding Studs give off a Subtle twinkle as you walk. 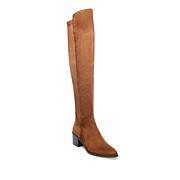 The Almond Toe Shape & Inconspicuous side seam give the Boot a CLEAN, ELEGANT Look that extends wardrobe options. The Platform makes the Wedge height PERFECT. AND they're COMFORTABLE! Bravo, Mr. Madden! 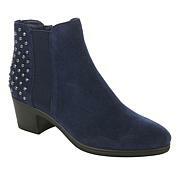 I loved everything about these boots except the zipper, it was very stiff and difficult to zip up or down. 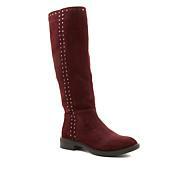 The boots however are very comfortable and easy to walk in. I brought the black and tan pairs. They are really cute. I always have to go up a half size in this brand. 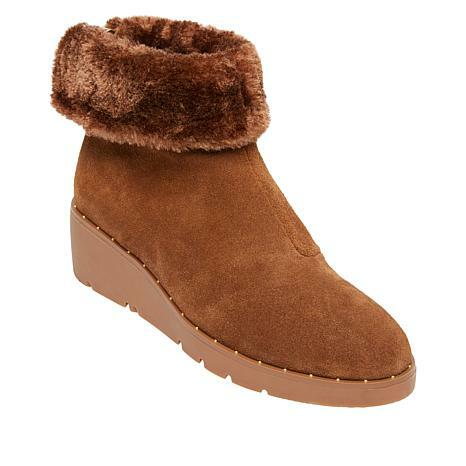 These are fashion boots, not snow boots so you will have to spray suede protection on them.